The EU is now pushing project fear, they are talking about an apocalyptic event if there is a no deal. The CB and elite will use fear to try to get what they want. George Soros says something needs to be done or the entire EU will end up like the Soviet Union. Trump has trapped the Fed with jobs, job numbers are great, Fed is doing nothing, Fed raises rates, the market comes down, it is all blamed on the Fed. US, Russia and China will use gold to remove the central banks. The senate released their report and they found no Russian collusion. Nunes says there is no Russian collusion. The [DS] is trying to push the latest gun bill, this will fail, the senate is the firewall. Q drops more bread, [HRC] protection has been removed, the [DS] pieces have been removed, this needed to be done, checks need to be installed so we have don’t have a repeat of corruption, shady deals etc. This is not just about a 4 year elections this is about giving the power back to the people. barriers/iron curtain arise. In the last two weeks alone, leaks to the British press have warned about the revival of a Cold War era-plan to airlift the Queen out of London, the simmering risk of malnutrition and/or starvation as warehouses run out of fresh food and medicine, of course, an explosion of immigrant-fueled crime as the EU switches off access to various and sundry criminal databases. And now, as if the vision of a Mad Max-style postapocalyptic hellscape wasn’t vivid enough, a reporter for the UK’s ITV has published a letter sent by Health Minister Stephen Hammond advising MPs that the NHS has begun purchases of emergency medical supplies – including stockpiles of body bags – in preparation for what the BOE, No. 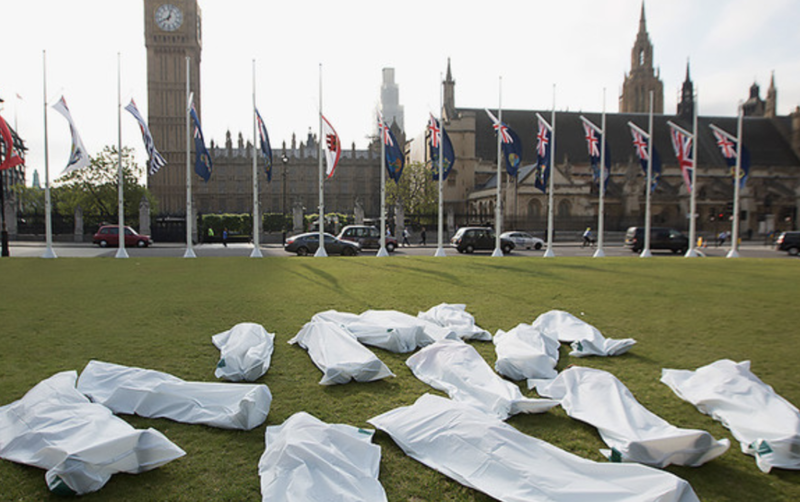 10 Downing Street and others have decried as the “worst-case scenario” of a ‘no-deal’ Brexit. As you can see the central bankers are panicking, they are throwing everything out there to scare the people into submission. There worst fear is that there is a no brexit deal and the country does well, which it will, then other countries will follow the UK, the EU would cease to exist in its current state. 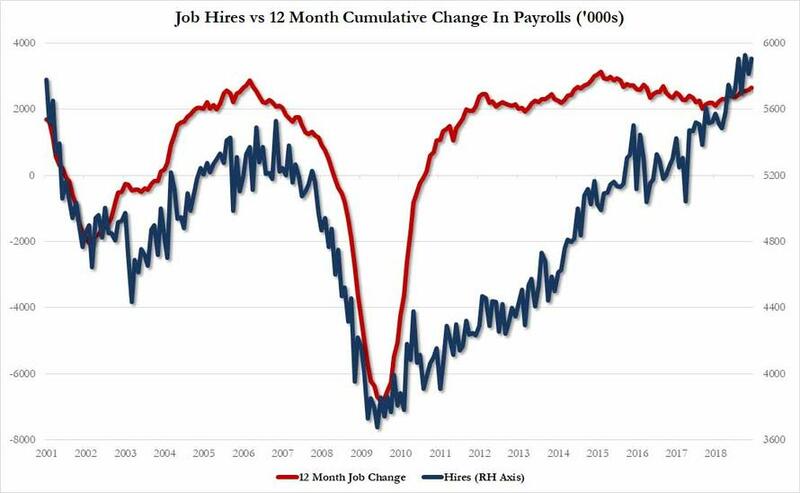 November JOLTS report – Janet Yellen’s favorite labor market indicator – for the month of December showed an unprecedented surge in job openings across most categories as the year wound down, with the total number soaring from an upward revised 7.166 million (from 6.888 million), to an all time high 7.335 million, smashing expectations of a 6.846 million print. 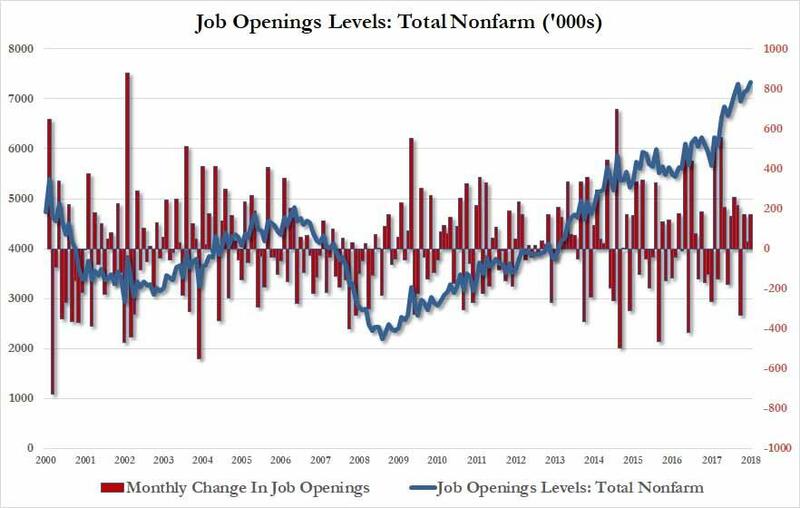 Another issue: with the Fed positioned for an economic slowdown, the JOLTS data better turn negative fast or else Powell will soon be facing some very unpleasant questions why the Fed’s rate hikes are on pause when the number of job openings in the economy is soaring to unprecedented levels. Trump has trapped the fed, the economy according to the statistical numbers is fantastic, but the Fed is not raising rates, Trump can use this against them, if the Fed raises rates and the market comes down he can use this against them, he has the magic wand, the patriots are in control, when you create an illusion and the economy can be manipulated to appear strong or weak you have all the power. Is China’s “signal” an explicit warning of the end to the dollar era that has existed since August 1971, when gold as the ultimate money was driven out of the monetary system. Gold has been weaponized, it seems there will be coordinated effort between Russia, China and The US to use gold to bring down the central banking system. Ranking member of the House Intel Committee, Rep. Devin Nunes (R-CA) said in an interview that GOP lawmakers are combing through Russiagate transcripts from interviews conducted over the last year and will make referrals to the Justice Department. House Democrats are taking the next step to pass Universal Background Checks in the US House of Representatives. H.R. 8, the House’s Universal Background bill, is expected to receive a vote in the House Judiciary Committee on February 13, 2019 and then be sent to the House floor for a full vote. The current legislation has 230 House co-sponsors, which include 5 Republicans Peter King (N.Y.), Brian Fitzpatrick (Penn. ), Brian Mast (Florida), Fred Upton (Mich.), and Chris Smith (N.J.). This gun control scheme would have the government snooping in on all private firearm transactions, thereby building a quasi-gun registration scheme under the Brady law which was passed in 1993. In other words, nearly all firearms purchase made in the United States would have to go through the Brady-NICS registration system. H.R. 8 requires that loans, gifts, and firearm sales be processed at a gun store. The same bureaucratic hoops—fees, paperwork, and record-keeping—apply to the purchase of new guns at stores as well. If an individual skips going to the gun store when loaning out a gun to a friend, they can still be subject to the same penalty as someone who knowingly sells a gun to a convicted felon. 4. Schiff doesn’t know it but he is being monitored. These people are the same people that are being investigated, who have been fired or resigned. Rep. Elijah Cummings, ranking member of the House Oversight Committee, said Sunday that caravan migrants seeking asylum should be able to enter the country immediately. 1) @MrWyattLA alerted me that my work is being noticed on the chans. This one’s for the anons. There are many stances on Q, but we cannot deny the reality and magnitude of the movement. 2) As you see in the video above, center screen, lady with a Q towel, Trump stops and points at her. Thinking logically. If Q were to be lies, why would Trump associate himself with anything Q related? 3) Okay. Let’s just say for arguments sake that these are just coincidences. What about the jersey situation? Then all the sudden, after Q started posting, Trump swapped his jersey numbers to 17. Seems pretty random? Right? 5) Alright. Let’s say those are coincidences. How about this peculiar picture of Trump, on the night we retrieved the hostages from North Korea. 6) Whether or not Q is legitimate, Trump is not distancing himself from Q, he’s actively drawing himself closer to it. And I can’t think of a single tactical reason Trump would affiliate himself with a “crazy fringe conspiracy theory” if he didn’t have to. 7) So for the record, I truly do believe that Trump and military intelligence are behind Q. The only logical reason Trump would do these things is because he wanted us to pay attention. Whether or not all the promises of Q will come to fruition, we will have to wait and see. 8) Believe nothing blindly. Assess all possibilities, all outcomes, all scenarios from every perspective and every angle. Understand motive and tactical reasoning. Apply logic to the equation and you will see what Trump wanted us to see. Among her most corrupt acts as a federal legislator is steering millions of federal bailout dollars to her husband’s failing bank, OneUnited. Waters allocated $12 million to the Massachusetts bank in which she and her board member husband held shares. OneUnited ended up stiffing American taxpayers and will probably never repay the bailout money. Judicial Watch investigated the scandal and obtained documents from the U.S. Treasury related to the controversial bailout. The famously remiss House Ethics Committee, which is charged with investigating and punishing corrupt lawmakers like Waters, found that she committed no wrongdoing. The panel bought Waters’ absurd story that she allocated the money as part of her longtime work to promote opportunity for minority-owned businesses and lending in underserved communities even though her husband’s bank was located thousands of miles away from the south Los Angeles neighborhoods she represents in Congress. Maxine Waters is the new chair of the House Financial Services Committee, she and many others will investigate Trump taxes and business dealings, I believe Trump and the patriots are setting these people up by withholding taxes, he wants them to investigate so this can be used against the corrupt people. What Q is saying is that the President is not just arresting people, but making major changes so people cannot take advantage again. He will need to create check and balances and get rid of the source of the problem, the Federal Reserve.